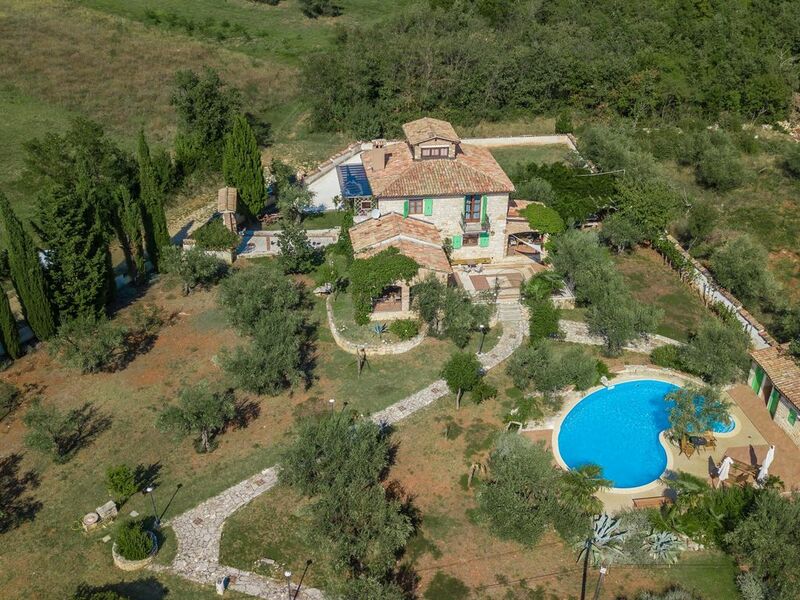 Casa di Livia is a beautiful traditional Istrian stone house with a beautiful garden and a pool. Olive trees, lavender and other Mediterranean plants grow in the spacious garden, and you can also enjoy your dinner perfectly on the terraces. The interior features a large table in the dining area, a fully equipped kitchen, a fireplace in the living area and a small toilet downstairs. Since the owners of the holiday home are Italian, they place great emphasis on a good kitchen equipment with great attention to detail. On the first floor there are 3 bedrooms, 2 with double beds and one suitable as a children's room, equipped with 2 single beds and a bunk bed. The master bedroom has a bathroom en suite with a shower, another bathroom is available for the other two bedrooms.